Modern Bathroom by Toronto Architects & Designers Wanda Ely Architect Inc. Even the tiniest space in your bathroom can be converted into a useful storage space by just using your creativity and imagination. 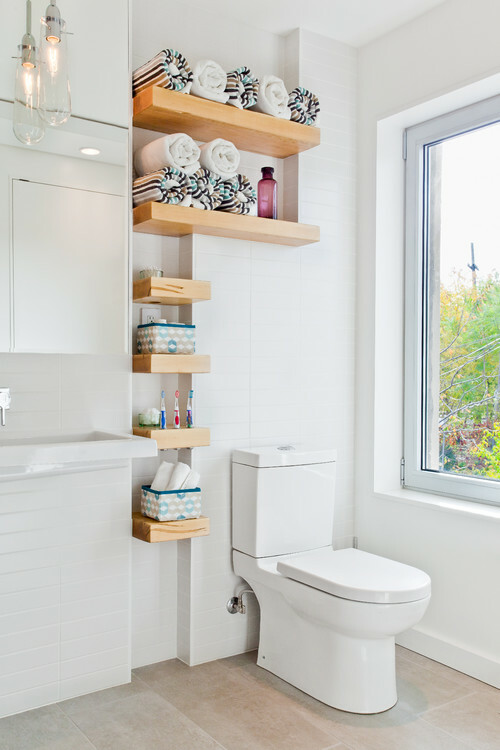 See how that small space beside the toilet bowl was transformed into open shelves? I really heart organizing and would also like to transform every small space into something that could be used to store some home stuff. This is the reason why I am always on a look out for new ideas for my home sweet home. There's nothing more rewarding than seeing your personal stuff properly organized.